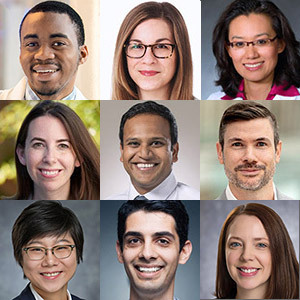 The University of Pennsylvania's Leonard Davis Institute of Health Economics (LDI) has announced the award of twelve 2019 small grants to teams led by twelve LDI Senior and Associate Fellows engaged in work across a wide range of health services research (HSR) areas. The grants go to LDI Senior and Associate Fellows from across Penn Schools. Throughout most of its 51-year history as Penn's hub of health services and policy research, LDI has annually provided small grant funding for early stage investigations that would otherwise not qualify for larger NIH or other institutional grants. Often, the findings of such pilot studies are the stepping stones that enable researchers to advance their careers with larger grants. Information Gains Versus Hassle Costs: How Do Prescription Drug Monitoring Programs Reduce Opioid Prescribing? Opioid overdoses, abuse and diversion have increased dramatically over the last two decades creating an unprecedented public health crisis across the United States. Interventions targeting physicians' opioid prescribing may play an important role in reducing opioid abuse. This project studies the consequences of one of the most widely adopted physician interventions: Prescription Drug Monitoring Programs (PDMPs). Housing affordability as an important social determinant of health is drawing increased attention among health systems and policy makers as U.S. health care shifts toward value-based payment. However, little is known about the association of housing affordability with health outcomes among older adults. Several pathways may link housing affordability to health consequences among older people. For instance, housing affordability may act as a competing demand that diverts resources from one’s health and self-care, leading to higher healthcare utilization. The impact of provider specialty on health care utilization and spending for women with advanced gynecologic cancers is the focus of this pilot study. Currently, women with advanced gynecologic cancer may receive chemotherapy from one of two specialty providers, gynecologic oncologists or medical oncologists, due to geographic-based availability of providers, health insurer network coverage, or other patient, provider, and systems factors. Opioid use among women of child-bearing age has increased dramatically in recent years, becoming one of the leading causes of death among young adults in the United States. Long term opioid use often begins with treatment for a painful injury or condition, including childbirth. Identifying vulnerable populations at highest risk for conversion to persistent opioid use following prescription at childbirth is one strategy for targeted intervention at the clinician and patient levels. Dialysis Facility Joint Ventures: Do Resource Utilization and Health Outcomes Vary by Ownership Status of Dialysis Facilities? Dialysis facility joint ventures allow a nephrologist or group of nephrologists to partner with a dialysis company to share in the management, profits, and losses of an outpatient dialysis facility. Proponents of joint ventures argue that these arrangements align the interests of nephrologists and dialysis companies to drive improved clinical outcomes and increased patient satisfaction. Others have cautioned that such arrangements create financial conflicts of interest for participating nephrologists that may inappropriately influence decisions about patient care. Many physicians receive corporate payments and other in-kind compensation from companies that produce products they can prescribe, inject, or recommend. This project provides the first comprehensive evidence on the association between payments from device manufacturers to physicians and device utilization, device prices, and patient health outcomes. It utilizes methods developed in previous work on pharmaceutical markets to estimate causal effects of payments on these same outcomes. One of the largest expansions of health insurance coverage among non-elderly adults, particularly those eligible for Medicaid, has been driven by the Affordable Care Act (ACA). There is evidence that the ACA has led to increases in healthcare utilization and access. However, the impact on health outcomes for patients is still unclear. There are only two treatment options for patients with end-stage heart failure that can prolong life and improve quality of life long term, heart transplantation and ventricular assist device (VAD) implantation. Emergency departments provide life-saving care to patients who overdose and can offer opportunities to engage patients in long-term treatment for opioid use disorder. Early initiation of medication-assisted treatment (MAT) and referral to community treatment resources from the ED are evidence-based strategies for preventing opioid overdose death. However, it is presumed that few patients who are treated for opioid-related illness in the ED successfully transition to ambulatory treatment. It is difficult for patients, hospitals, or health systems to identify Skilled Nursing Facilities (SNF) that provide higher-value care. Although NHCompare is the most widely known quality indicator for nursing homes, little is known about using NHCompare as an indicator for SNF quality. This study will provide critical insight into the extent that the NHCompare 5-star ratings within and outside the VA, are linked to adverse transitional outcomes for older Veterans discharged to SNFs. The increased rate of immigration enforcement might discourage undocumented patients from receiving healthcare. The hypothesis being tested here is that there has been a decrease in primary care utilization and an increase in inpatient utilization amongst undocumented immigrants since the 2016 election. This study will analyze primary care and inpatient utilization throughout a pool of undocumented patients and Medicaid controls in a mid-Atlantic health system between 2014-2018 using difference-in-difference analysis. The impact of a mobile treatment unit for opioid-dependent individuals as compared to fixed sites is the focus of this study. Despite the critical role mobile medication-assisted treatment (MAT) units could play in combatting the opioid epidemic, there is remarkably little research examining who is treated in these units and the outcomes of these individuals compared with those treated in brick-and-mortar facilities. Adverse selection has long been a concern for insurers participating in the ACA's Health Insurance Exchanges. The community rating on the exchanges combined with lack of information on the insurees’ health, risk preference, and propensity to use healthcare services makes the on-exchange plans vulnerable to adverse selection. Severe adverse selection will force insurers to leave the market, undermining the affordability of insurance plans, eventually hurting consumers’ welfare.